Ideologues may set the tone for the national debate, but geography and demography determine elections. In America, the dominant geography continues to be suburbia – home to at least 60 percent of the population and probably more than that portion of the electorate. Roughly 220 congressional districts, or more than half the nation’s 435, are predominately suburban, according to a 2005 Congressional Quarterly study. This is likely to only increase in the next decade, as Millennials begin en masse to enter their 30s and move to the periphery. The connection between suburbs and political victory should have been clear by now. Middle- and working-class suburbanites keyed the surprising election win of Republican Sen. Scott Brown in Massachusetts in January. Suburban voters were also crucial to the 2009 Republican gubernatorial victories in Virginia and New Jersey, two key swing states. Nationally, suburban approval for the Democrats has dropped to 39 percent this year, from 48 percent two years ago. Disapproval for President Barack Obama is also high --- nearly 48 percent of suburbanites disapprove, compared to only 35 percent of urbanites. Even Obama’s strong support among minority suburbanites, a fast-growing group, has declined substantially. Many suburban voters, notes Lawrence Levy, executive director of the National Center for Suburban Studies at Hofstra University, appear to be undergoing “buyer’s remorse” for backing Obama and the Democrats last time around . Much of the suburban distress, of course, stems from the still perilous state of the economy. Obama’s mix of fiscal and monetary policies has provided much succor to Wall Street, where stock prices have soared 30 percent, and to big corporations, whose profits have risen by 42 percent. This has been great for Manhattan plutocrats -- but not particularly helpful for the suburban middle class. Indeed the indicators most important to suburbanites – private sector employment, weekly earnings, home prices and disposable income – have all stagnated or even fallen since Obama took office. Fifty-three percent of suburban residents, according to the Princeton study, described their financial situation as “bad.” The vast majority have either lost their job or know someone who has lost theirs. Almost 40 percent have either lost their home or know someone who did – up from 27 percent in 2008. Given the stubbornness of this recession, neither the current administration or Congress gets credit for improving conditions. Barely 10 percent of suburbanites polled think the stimulus helped, one-third thought it hurt and the rest said it made little difference. But there may be other, perhaps more nuanced, reasons for the administration’s suburban disconnect. Many of the administration’s most high-profile initiatives have tended to reflect the views of urban interests – roughly 20 percent of the population – rather than suburban ones. Much of the Obama policy agenda – from mass transit and high-speed rail to support for “smart growth” policies – appeals to city planners and urbanistas. Transportation Secretary Ray LaHood has spoken openly of “coercing” Americans out their cars and the Department of Housing and Urban Development is handing out grants to regions which support densification strategies that amount to forced urbanization of suburbs. This is a problem since the vast majority of Americans – consistently more than 80 percent – do not prefer to live in dense big cities. Most want a house rather than being forced to live in an apartment. And for all but a handful, a car, not a bus or train, remains not only the preferred way to get to work, but often the only feasible means to get work -- mostly in the suburbs. If the Democrats want to mount an electoral comeback in suburbia, they need to take these realities into account . There are just not enough votes in core cities, upscale close-in suburbs or college towns to knit together a majority. Recovering suburbia s is not impossible for Democrats. Obama himself proved this in 2008, by essentially tying for the suburban vote -- a remarkable achievement. Bill Clinton won in 1992 and especially 1996 by competing well in suburbs and exurbs. In the last two election cycles, the shift of suburbanites to the Democrats keyed the party’s steady gains in the Congress – accounting for, according to GOP sources, as many as 24 seats in the last two congressional elections. Most important, suburbanite identification with the Republican Party has continued to erode over the past two years, according to the Princeton survey. Instead the big winners have been independents, who have grown to 36 percent from 30 percent of the suburban electorate. These voters, for the most part, also tend to be less strident in their cultural views than either secular urbanites or rural evangelicals. More than one in five suburbanites is an ethnic minority -- which could also help the Democrats. But to win even these suburban voters, the Democrats must offer solutions to suburbanites that go beyond devising their forced conversion to dense urbanity. They could refocus their efforts on climate change to suburbs-friendly strategies like telecommuting -- perhaps the cheapest, quickest and most socially acceptable way to cut down on greenhouse gas emissions. Outside of greater New York, which has half the nation’s transit users, there are already about as many telecommuters as transit riders. Why not work to expand this phenomena, so well suited to the vast majority of the country? These suburb friendly approaches should be examined as the Democrats reflect on what many expect to be midterm electoral setbacks. They can only compete successfully on a national basis by jettisoning their apparent disdain toward the aspirations of suburban homeowners and begin treating them with respect. Submitted by Richard Reep on Thu, 10/28/2010 - 21:28. I don't think anyone is taking your choice away - there are still plenty of suburbs to choose from. What seems to be happening is that, through last year's joint memorandum between HUD, DOT, and the EPA, the scales are tipping in favor of densification. The policy agenda that Mr. Kotkin writes about is very real. Some of which is good really. Suburban growth has historically followed the path of least resistance, and it represents just that: growth. Economists, however, recognize another form of economic activity - development - which is making things better, not just making more of them. Mr. Kotkin's argument is that political control of the suburbs is everything, and he's right. For all Obama's love affair with the urban condition, however, it is hard to see how he could do much to alter American's preference for suburbs. All the grant money in the world is wasted while we lack jobs: we kind of need employment now, more than neo-Victorian consumerist town centers. Mr. Kotkin made my day. For once in my life I am in the majority: a suburbanite in a bad financial situation! Majority Rules! Submitted by rich_b on Thu, 10/28/2010 - 17:02. It's just another sign of disconnect between the federal government and the majority of America. You wonder how these things happen, you would think the politicians would be the most interested in the majority of voters but in this case no. 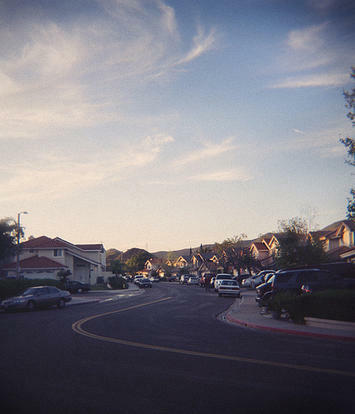 The suburbs are vilified for causing "global warming" and the like. No wonder the Democrats are going to lose big in 2010. As a realtor, I have talked with other agents in suburban areas around the country and see no decline in the popularity of suburbs for the majority. The "back to the city" movement is a small niche of the real estate market, and has been that way since at least the 1970's. The media (since they don't like suburbs either) just has picked up on it recently and ran with it. The problem will be if suburbs are not allowed to expand naturally. Then we will have affordability problems on a national scale. Portland Oregon is not a model to be copied. Why this hatred for the places that most American's call home? Guess people are jealous of the success of suburbs. Maybe if the cities had better economic policies maybe they would have a more level playing field. Forcing people back into the cities won't solve the problems of urban areas. It will only create more problems. The government has no business telling us where to live. If I want to live in the suburbs or the city it should be MY choice. Submitted by David Dennis on Sun, 10/31/2010 - 10:56. Recently, the city of West Palm Beach constructed a massive project to essentially make Southern Boulevard into a freeway leading downtown. It was beautifully done and works great. What is strange is that there is a bike lane on the right. It would be incredibly unsafe to use, since cars have to cross it to get to the right turn lanes, and bikes are awfully hard to see at 50mph. Fortunately, bike riders seem to have gotten the message: I have yet to see a single bike using it. Why do we construct projects so obviously dysfunctional? It seems like the same attitude that creates light rail projects, which cost billions of dollars for few riders. Why don't we spend the same amount on roads, which more people would use? West Palm Beach has fast roads and little traffic congestion and for me it's paradise. I actually like Downtown, visiting it a few times a week. I never visited Downtown Pittsburgh or Downtown Los Angeles without a metaphorical gun to my head. Why don't more cities improve their roads, as West Palm has, instead of dumping money into light rail? Southern Boulevard's upgrade cost $78 million and it was worth every cent. You could build a very similar project by constructing a light rail line where Southern's elevated section is, instead of making it a freeway for cars. It would cost a billion dollars or more, and traffic would still be snarled. That would be insane, of course, but it is insanity many cities buy into. It seems to me that the Federal Government actually takes pleasure in ignoring people's real needs and instead building projects few will wind up using. I know much of it is government wanting to spend money on construction, which creates construction jobs and helps political contributors, but wouldn't equally expensive road projects do the same thing and work better for citizens? I would think that kind of project would have a positive effect on the economy instead of being the drag light rail is.